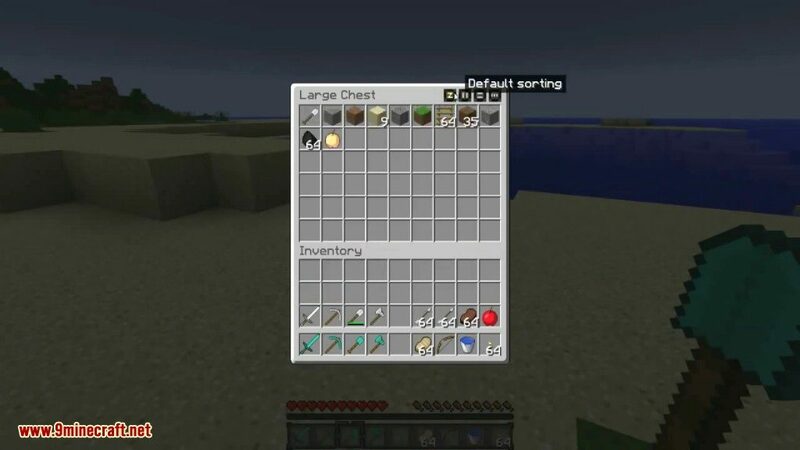 Inventory Tweaks Mod 1.12.2/1.11.2 allows you to easily manage your inventories and chests. 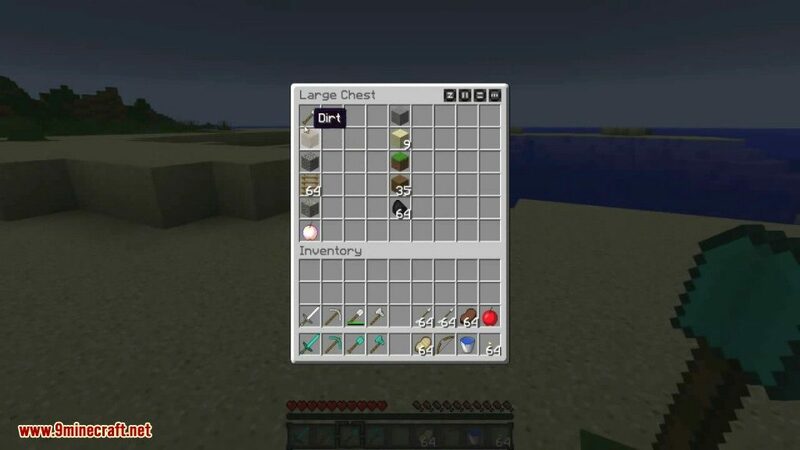 It works out of the box, and will make you gain a massive amount of time, both in singleplayer and multiplayer! A lot of effort has been put to make it as customizable as possible, without being annoying to set up. 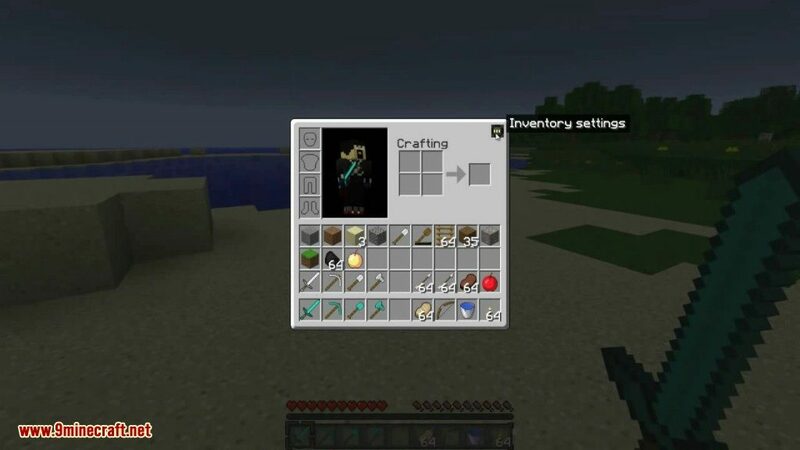 If you’re ever frustrated in having to go back to your inventory just to swap in a new pickaxe this mod will help alleviate the stress. It’s simple in that it cuts out that need to grab a fresh tool and will automatically replace your spent tool with a new one in your inventory. All you need to remember is to keep stock of good tools in your pack. 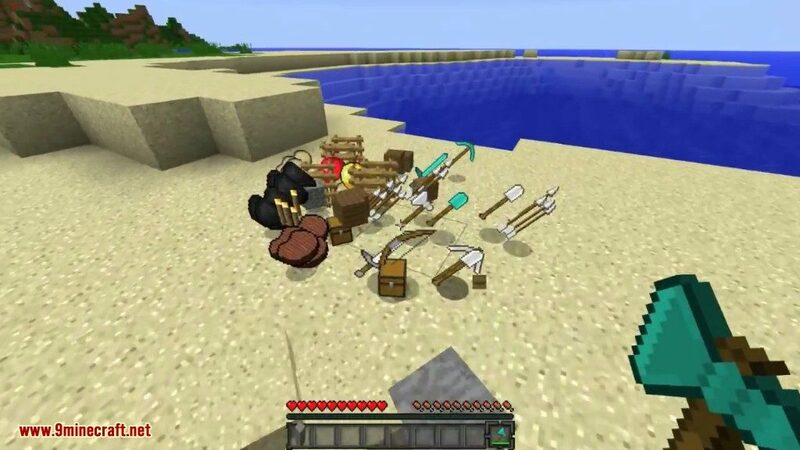 Just start playing Minecraft, you can already use most features of the mod. 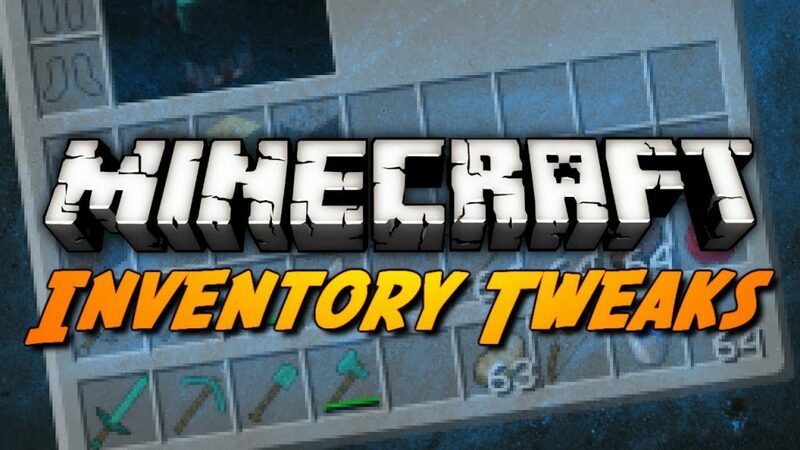 Notice the ”…” button that just appeared on the top-right corner of your inventory? 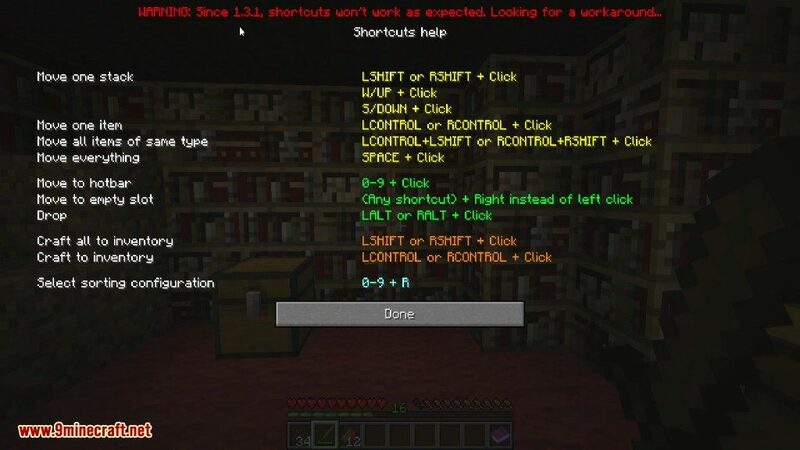 This leads to the mod settings screen, if it’s there it means that the mod is installed correctly. 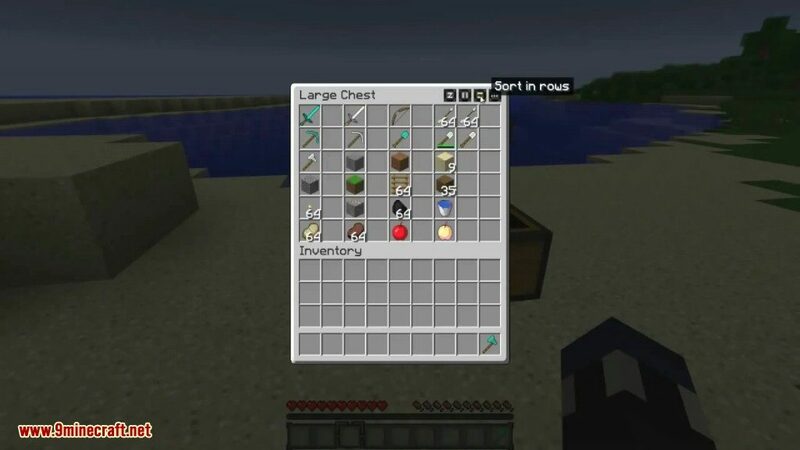 If you eat an item, break a tool or empty a stack by placing blocks, the mod will automatically fetch if possible a similar item from your inventory. Click on the ”…” button from your inventory to explore the features (yay, inventory shortcuts!) 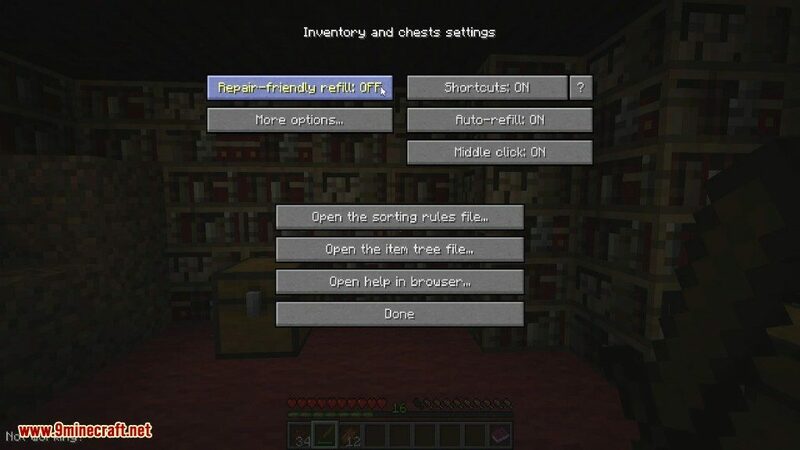 and customize the settings of the mod. You don’t even have to be in your inventory to use the R shortcut.